Rooted in a love for nature, the butterfly designs by Zanfeld come to life in a mix of carefully crafted sterling silver and 14K gold. The collection includes pieces that can be mixed and matched with together or with other foundational pieces. 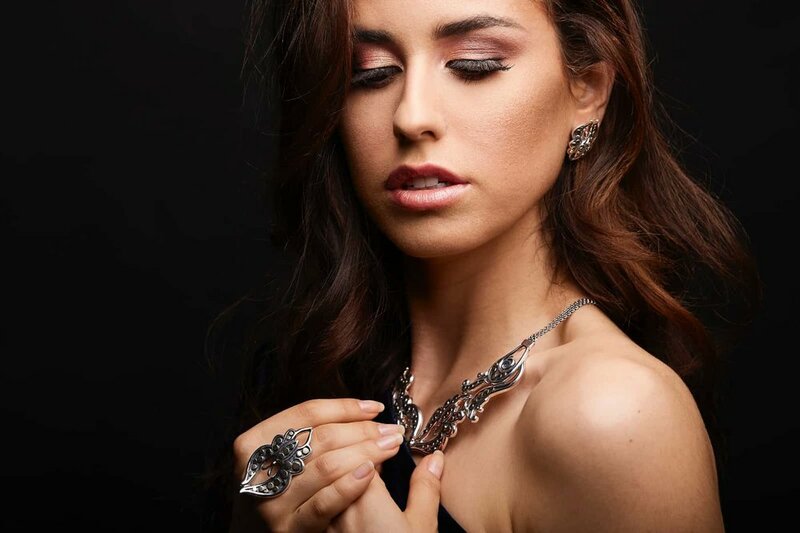 The Butterfly Necklace crafted in sterling silver and 14k gold. A princess styled necklace featuring a cartier chain, two beautiful butterflies design with 14k gold dots, and a clasp closure. Sterling silver and gold Butterfly hinged bracelet with ornamented with 14k gold dots. Crafted from oxidized 925 sterling silver and 14k gold, in the form of two butterflies hinged together. The Butterfly statement ring is crafted in sterling silver and 14k gold dots. 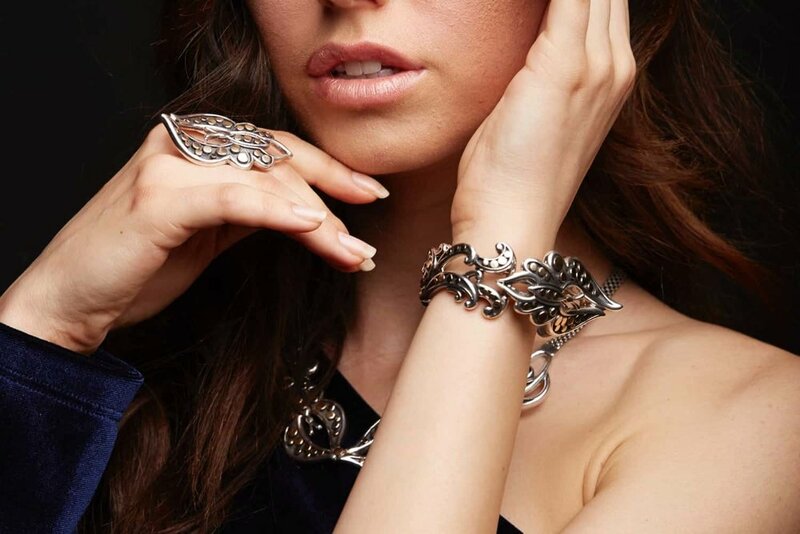 The body is formed by sterling silver bands with an ornamented butterfly on top. Sterling silver butterfly earrings are crafted from oxidized 925 sterling silver, embossed with 14k gold dots with sterling silver hinged post backings.